The folded pen is a wonderful tool for hand lettering. It is capable of making very thin hairline strokes as well as thick dramatic strokes and a large range in between. 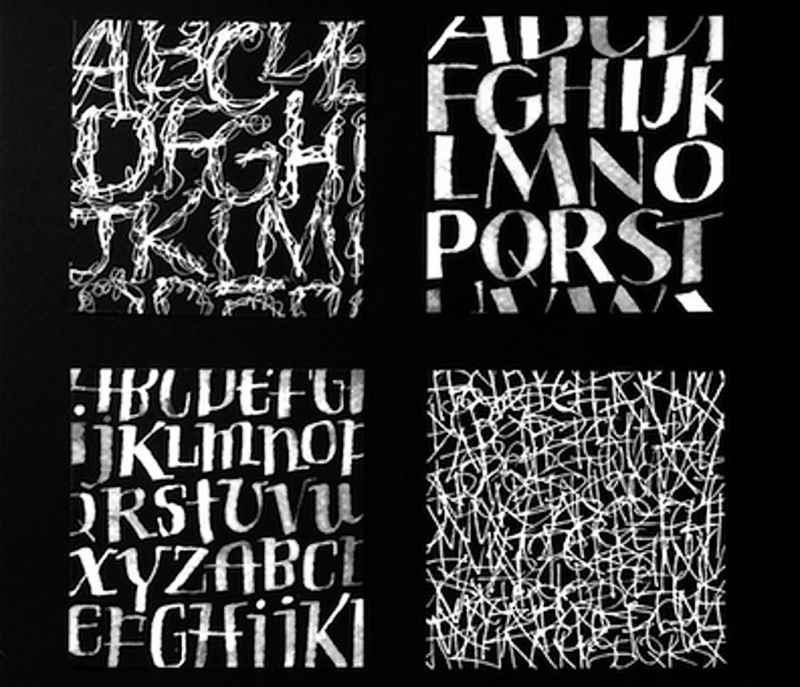 Letters created with the folded pen feel dynamic and organic. There are endless possibilities for its use. In this workshop we will make a folded pen that we will use in class, and we will learn at least six distinctly different styles of lettering that will help us explore what this type of pen can do. We will create a finished piece using the lettering learned in the workshop. This class is ideal for calligraphers who want to explore playful lettering styles, graphic designers who would like to incorporate hand lettering into their designs and for lovers of hand lettering who want to learn more lettering styles. Cora Pearl started studying calligraphy at age 11 and has been doing calligraphy and hand lettering ever since. She has a BA in Art and Art History from Oberlin College. Cora works as a full time calligrapher and teacher of lettering arts. She teaches calligraphy and hand lettering at Portland Community College and teaches independent workshops, classes and private sessions. She has taught at several calligraphy conferences including Letters of Joy, IAMPETH, Letterfest, Letterworks and Letters California Style. Cora also does calligraphy commissions in addition to her teaching.